The Deluxe Demo will be exclusive to PlayStation PLUS subscribers through the PlayStation Store and Xbox Live Gold members through the Microsoft Store, and will be playable 22 February and run through 24 February. The upcoming demo will consist of online Ranked match, as well as Free Training, Tutorial, Command Training, Combo Challenge, and an introduction to Story mode. The Demo will feature all 24 characters available at launch and all hairstyles and glasses will be available for each of the playable characters. - The Deluxe Demo will be exclusive to PlayStation PLUS subscribers through the PlayStation Store and Xbox Live Gold members through the Microsoft Store. 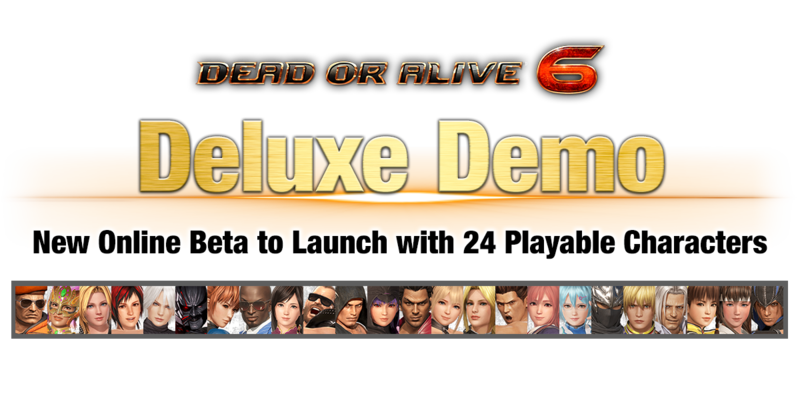 - This "Deluxe Demo"’s online versus mode will only include a limited amount of features, and hence will differ from the final product. - This "Deluxe Demo" will be available for a limited amount of time. - Use of the Deluxe Demo necessitates login to the PlayStation™Network (PS4) or the Xbox Live (Xbox One). - Play period may be modified without prior notice. 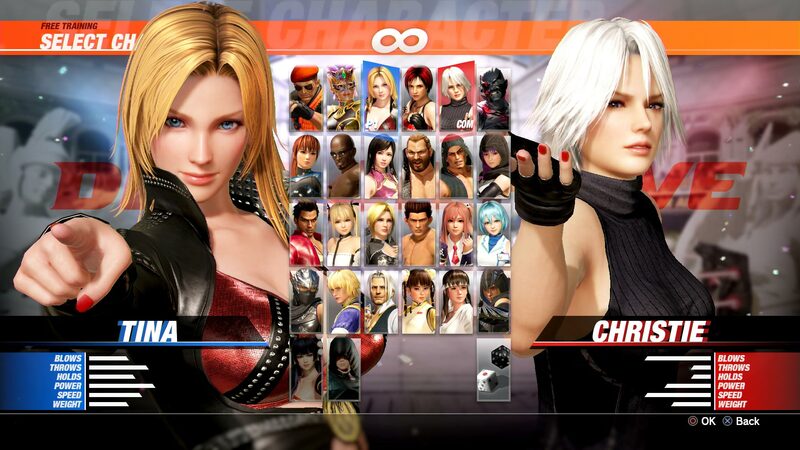 Kasumi, Helena, Hayate, Hayabusa, Jann Lee, Zack, Diego, Rig, Hitomi, Leifang, Ayane, Marie Rose, Honoka, Bayman, Bass, Tina, Mila, Christie, Nico, Kokoro, La Mariposa, Brad Wong, Eliot, And Raidou. We would like to gather your feedback on this "Deluxe Demo" for further improvement and enhancement.